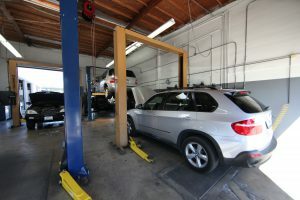 Quality Motors is your source for any BMW Oil Change service in South Orange County, CA! Quality Motors utilizes original equipment oil filters and premium Valvoline European spec pure synthetic oil that meets or exceeds all BMW specifications. All of our BMW service and repairs are warrantied for 24 months or 24,000 miles. Our suite of premium services includes a client lounge with wi-fi and refreshments, complimentary shuttle service, loaner cars and car wash. Request an appointment today on line or give us a call. One of our dedicated client advisers is ready to deliver the Quality Motors experience. 38 years of serving Orange County. Q: If I get my oil changed will my Inspection service light go out. A: No, the light will not be reset unless the BMW Service that the light is on for is performed. Q: My service engine soon or check engine light is on, will it go out after the oil is changed? A: No, if one of those lights are on there is a engine or transmission malfunction that is being detected in board diagnostic system. We would need to perform a diagnostic scan and verify the failure to determine what needs to be replaced or repaired. Q: Can Quality Motors change my oil while I wait? A: Yes, we offer a quick lube service for vehicles that are due for the interim oil change, We recommend a oil change and filter every 5,000 miles. We have a comfortable lobby with wi fi and refreshments for you to wait in while we service your vehicle. Please let us know when you make your appointment that you would like to wait. Q: Is getting my oil changed at the Quicky Lube or a foreign car shop the same as Quality Motors? A: No, Quality Motors is a specialized facility utilizing the highest quality lubricants and filters. The only similarity with the Quicky Lube is the price! There is nothing foreign about your car at Quality Motors. Q: What kind of oil do you use? A: We use Valvoline euro spec 5/40 mst synthetic oil. This oil meets or exceeds all BMW specifications. Q: Do you mind if I bring my own parts and oil? Q: Does anything else come with an oil & filter change service? A: Every service at Quality Motors includes a full digital inspection with photos, tire pressure checked and adjusted and all fluids checked and topped off. Q: Do I need to make an appointment for an oil change service in my BMW? Q: Do you do oil changes while I wait? Q: If I try to change the oil at home and strip the drain plug, what steps should I take? A; Stop and have your car towed in. Q: I want to do oil changes more frequently than the factory recommends, can you help me? A: due to premature engine wear and sludging, we strongly suggest a oil change every 5,000-7,500 miles.